When you think of chamomile, you likely think of the tea that can help you fall asleep. Relaxation is certainly the most commonly known benefit of this plant. But, there are many other benefits, and scientists have found this power to relax could extend to even fight anxiety and depression. This means not only did the anxiety scores improved, but they continued to improve over the course of the study. 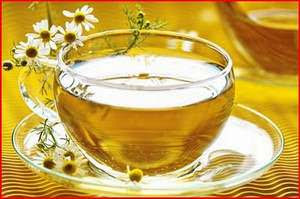 Best of all, chamomile comes without the nasty side-effects of traditional anxiety and depression medications. Herbalists typically recommend people give herbs three months to a year to work and reach their full potential. If eight weeks can improve anxiety levels of those diagnosed with anxiety disorders, further treatment could potentially eliminate anxiety altogether, or at least get it to manageable levels.